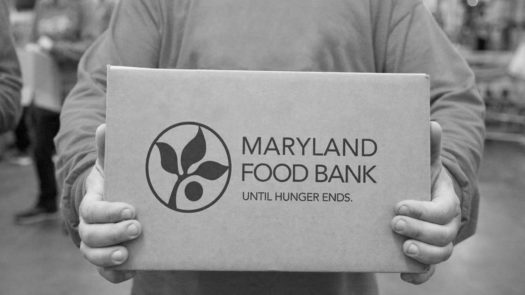 Students may volunteer at the Maryland Food Bank to help people in need. As everyone may know, service hours are one of the most important graduation requirement. This time around they have lowered the amount of service hours students have to complete which is nothing compared to how it used to be which was 75 hours according to PGCPS. Now it’s 24 hours which is more easier and faster for students to complete. The benefits of community service hours is to meet new people, learn about your community, and feeling good for the service you are providing. You can even get a scholarship if you have a good amount of service hours. Not only that but you can get college credits, learn new skills and search any career options. Check out this list below for service learning hour opportunities. At Maryland food bank, you will give food back to those in need including children, seniors, and many families. You can assist as many roles when you volunteer like in the warehouses, kitchen, offices, farms, markets and even live events. The locations for these are at Baltimore branch and Salisbury branch. Make sure to be on time or they will not take you in after 30 minutes being late. Also you must wear closed shoes in order to participate. If you are interested, visit their website at mdfoodbank.org. At Prince George’s county Habitat for Humanity’s you will help build affordable homes to put end to people who are homeless. Their purpose is to help those who are unprivileged to feel safe. There are many activities you can do like creating fundraisers, being a builder and ride a bike to raise money to build more homes! Their goal is to uplift families and provide affordable homes. If you are interested just visit their website at fullercenter.org to sign up! At the Neighborhood Design Center, you can do a variety of volunteering from creating projects, being a design reviewer and office volunteer. As an office volunteer, you will keep record of previous projects. If you choose to review designs, you will just critique any projects which is monthly on weeknights for one to two hours. And if you choose to create projects, you will come up with designs and and cool ideas for the neighborhood. You can help renovate parks or any school grounds or just putting abandoned places to use. Visit their website at ndc-md.org to fill out their application and get started! At the family support center, you will help children learn through interactions, help assist the team with filing and organization and even tutor adults to help them with their literary skills, any computer skills, and help them with any information they need. The purpose of the organization is to provide all the education children need and any information to adults to help them be successful. If you are interested go to their website at childresource.org to join and help children with their needs.